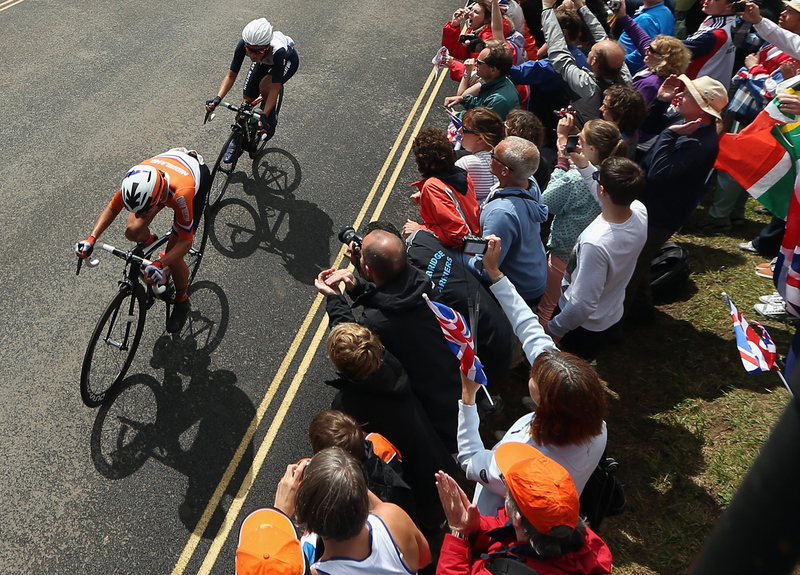 (AP) LONDON - Marianne Vos of the Netherlands won the gold medal in the women's road race, holding off Britain's Elizabeth Armitstead in a sprint finish on The Mall. The former world champion made a daring move past Russia's Olga Zabelinskaya over rain-slicked roads Sunday to emerge from the three-rider breakaway on the straightaway from Buckingham Palace. Armitstead wound up with silver, Britain's first medal of the London Olympics. The former track cycling star came through under immense pressure from a nation gripped by cycling following Bradley Wiggins' Tour de France triumph. Armitstead also managed to deliver the podium finish that eluded Mark Cavendish and her men's teammates the previous day.